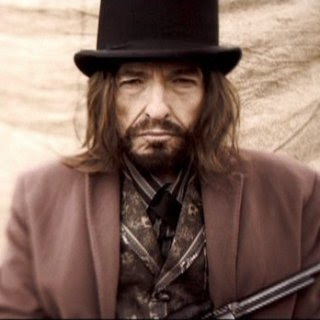 It occurred to me today that Bob Dylan’s song for the 2003 sequel to GETTYSBURG, GODS AND GENERALS (Ronald F. Maxwell), may simultaneously be a rare glimpse and a natural transition of what his film scoring would have sounded like had he steadily kept up with it after his blissful recordings for Sam Peckinpah’s PAT GARRETT AND BILLY THE KID way back in 1972. After his Oscar-winning number for Curtis Hanson’s WONDER BOYS, Dylan obviously became a little soundtrack-happy, providing songs for the coal mining picture NORTH COUNTRY, DIVINE SECRETS OF THE YA-YA SISTERHOOD, and the aforementioned GODS AND GENERALS. While these first two feel like album rejects, cast aside to be used as ineffectual exclusive tracks for even more lackluster films, “’Cross the Green Mountain” feels a bit more organic, as if he’d had a chance to live with the film for some time, its Civil War heroics obviously awakening some deep emotions within. It’s as if the lyrics interact with the characters on Dylan’s poetic playing field, providing the perfect aural accompaniment (here, during the closing credits) in much the same manner as it did for PAT GARRETT. His stuff’s too good not to call attention to itself – that’s for sure - but the carefully constructed and ingrained qualities of the songs are so in tune with the project that it doesn’t really matter. It has since become, to me at least, one of his major accomplishments of this closing decade (one which would see Dylan still reaching new plateaus by reopening old wounds via “Love and Theft” and “Modern Times”, two albums I vastly prefer to the majority of his work in the 90s). Although placed as the last song on the GODS AND GENERALS soundtrack in ’03, it has thankfully been reassessed and deemed worthy enough of merit for inclusion on “The Bootleg Series Vol. 8: Tell Tale Signs”, released in stores this week, but currently streaming -- for free -- on NPR. The Most Ruthless Fist Fight in Film History?